This is a top of the line facility with very fair and reasonable prices. This storage has amenities that others lack, including extra large storage units, RV wash bay and convenient climate controlled units. But the best features of all are the owners, the employees, and the outstanding service. You feel like family. Very beautiful facility and the people were great to work with!! Top notch and super clean. About time Mesquite got a first class storage units. No ghetto here!! Very good service and very nice people. Our team is dedicated to making your self storage experience pleasant and efficient. We’ve implemented the features that you care most about, all while keeping the rates on our wide selection of units as affordable as possible. Take a look around our website and reach out to our team to get started! 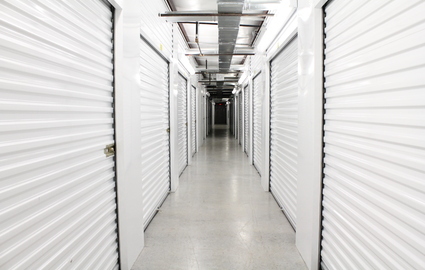 Our property is home to more than 300 storage units, with climate-controlled and drive-up accessible options available. All of our rentals are located on the ground floor, making your move-in day much easier. Plus, we offer use of our moving dollies and discount packing supplies in our office, providing everything you need to keep your belongings protected and your move a smooth process. If your RV or other vehicle is taking up all the driveway space at home, the best solution is to store it in a secure parking spot at a storage facility. What’s even better than that is storing it at a property that’s implemented amenities specific to RV renters, like onsite water and propane, an RV dump, and a wash bay. Our parking spaces are covered with large canopies, which prevent the sun from beating down on your valuable vehicle! We’re located just a few minutes from downtown Mesquite, providing quick access to destinations like Hafen Lane Park, Kan Garff Mesquite Ford Lincoln & RV, Do It Best, Wolf Creek Golf Club, Bowler Plaza, Virgin Valley High School, Charles Arthur Hughes Middle School, and Eureka Casino Resort. We’re on Commerce Circle, just next to Star Nursery, so it’s easy for residents of the Riverside, Scenic, and Bunkerville communities to utilize our self storage services! © 2019 Pioneer Storage, partners and affiliates.